Like the Nation, like its Governors. The Nigerian Governors Forum (NGF) cannot be different from the country of which they are a part. In fact, this institution is a microcosm of the Nigerian state. So, for a country riddled with corruption, faltering democratization and bad governance, the Governors of its 36 odd states cannot be expected to be any different. Little surprise therefore that an otherwise lofty idea to develop a capacity building workshop series for the NGF was scuttled and prematurely derailed thanks to their high proclivity for public grand-standing and the overzealousness of Akwa Ibom State Governor, Godswill Akpabio. Briefing the press in Calabar upon his return from the USA, Governor Akpabio was very unequivocal and emphatic that a Memorandum of Understanding (MOU) was signed with Harvard University's John F. Kennedy School of Government by four state governors - Bukola Saraki of Kwara, Isa Yuguda of Bauchi, Adams Oshiomhole of Edo State and Godswill Akpabio of Akwa Ibom - on behalf of the NGF, to train Nigeria's 36 state chief executives; their staff and local leaders in the areas of leadership, good governance, education policy, economic development, among others. It has turned out that the said MOU titled: “Capacity Building Workshops for Nigerian Governors' Forum”, was a hoax! Harvard University has denied signing any pact with the NGF, explaining that the said MOU, which the NGF misrepresented as an agreement was “meant to be the first step in the exploration of a possible training program and as a means of signifying the intent on both sides to work together to craft such a program. 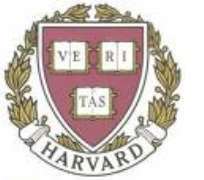 Neither that document nor even the possibility of developing a joint Forum-Harvard Kennedy School training project had as yet been brought before the Kennedy School for consideration or approval, so it was premature for an announcement to have been made in Nigeria,” read a statement from Harvard University. The statement issued by Prof. Robert Rotberg; Director, Harvard Kennedy School Program on Intrastate Conflict, Conflict Prevention & Resolution at the Belfer Center for Science and International Affairs described media reports on the purported training pact between Harvard and the NGF as premature. The avuncular Prof. Rotberg – a respected authority on issues of democratic governance and leadership in the developing world – told Huhuonline.com in an exclusive interview that he met the Governors in May 2009 during which they had lunch at the Legal Seafood restaurant in Cambridge, Massachusetts. “The Governors paid for their lunch,” he joked and my initial conversation with them was to gain a better understanding of what they were looking for and to explore the possibility, of developing a training programme for their members, but there was no official agreement or partnership." Although media reaction to the proposed partnership agreement was hostile and roundly condemned as offensive, self-demeaning, wasteful and most unacceptable, the idea was mooted by Nassir El-Rufai to the Governor of Niger State in October 2008 at a dinner in Cambridge, Massachusetts, USA. Also in attendance at the dinner was Education Minister, Sam Egwu; Senator Chris Anyanwu; Huhuonline.com Publisher, Emmanuel Asiwe amongst others. The Governor welcomed the idea but said he would discuss it with Bukola Saraki of Kwara State. What El-Rufai had in mind was to create a useful platform where Governors may compare notes on the challenges of governance, share experiences and generate broad-minded solutions that build their states and strengthen the nation, thereby transform the NGF from the surreptitious lobby group of sorts it presently is, into an institutional part of Nigerian democracy. The capacity building proposed by El-Rufai; the first of its type for African leaders, was not to be in the form of lengthy foreign trips and the waste of public resources, including the huge estacodes that the governors and their aides will collect for travelling abroad and other living expenses. Rather, Nigerian state governors would travel to Harvard in batches with effect from October to attend one-week workshops on leadership, good governance, education, and economic management. But by jumping the gun to announce a partnership that was yet to even be submitted to the Kennedy School of Government, let alone secured the approval of the President and Fellows of Harvard College; the supreme decision-making organ of Harvard, Governor Godswill Akpabio, spokesman of the Governors Forum made sure the said partnership with Harvard University was DOA – dead on arrival! This sentiment was echoed by Prof. Rotberg: "The recent media stories reporting a partnership or agreement are premature, and I certainly cannot speculate as to whether such a program might be developed in the future," he told Huhuonline.com.